All Renewable Energy Ltd is an accredited installer under the Microgeneration Certification Scheme. This allows customers to access available government grants and means that we exceed strict standards for quality and service that are set by the Government. All Renewable Energy Ltd is a company founded on the belief that renewable energy is the future for all of us. We aim to give sound help and advice to steer our clients through the available choices to suit their lifestyles, circumstances and budget, however our initial priority is to ensure that your home is as energy efficient as possible and that will help you reduce your energy costs now. AIM - SAVE YOUR MONEY, REDUCE ENERGY CONSUMPTION AND CARBON DIOXIDE EMISSIONS!!!!! What's more All Renewable Energy Ltd supply and install the best technology at affordable prices and we are seeking out the latest, best innovative products from a range of manufacturers. We will stay in touch with you and keep you up-to-date with information and ideas that are relevant to you, your home and business. All Renewable Energy Ltd are MCS accredited engineers who undertake installations of Solar Water Heating and Solar PV. 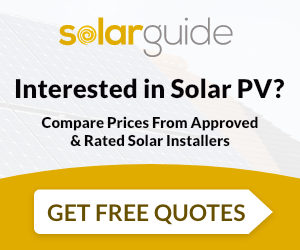 For similar installers in this area please visit the Perth solar page.